Most of these agreements had been violated within hours after being announced. It is therefore important to consider what options IGAD would have if the latest agreement were also not adhered to. At a more fundamental level, it must also be asked whether the IGAD-led mediation process does, in fact, offer a viable approach to dealing with the root causes of the South Sudan violence. After the signing of the latest agreement at IGAD’s 27th Extraordinary Summit, Ethiopian Prime Minister Hailemariam Desalegn threatened punitive action against any party that violates the agreement. ‘As a region, we have to show any party which violates agreements that there are consequences to misbehaviour,’ he said. While IGAD has not elaborated on specific actions it might take, it has been suggested that the body should consider personal sanctions against the South Sudanese leaders, given that most of them have families, property and bank accounts in the IGAD member states. Whether or not such an approach would be practical or effective is, however, unclear, considering the significant investments that most of the IGAD member states have in South Sudan. While the United States (US) and the European Union (EU) have imposed travel sanctions and asset freezes on the commander of President Salva Kiir’s presidential guard, General Marial Chanuong, and a senior rebel commander, General Peter Gadet Yaak, these have done little to change the dynamics of the conflict. It is more likely that neither of these parties (the US and EU) nor IGAD would want to follow through on more punitive measures given doubts over their efficacy, and the possibility that it might hurt the sanctioning countries’ economic interests. Indeed, there is the viewpoint that some of IGAD’s members are motivated by bilateral interests in the outcome of the peace process, and that they have, as a result, taken partisan positions in the process. The presence of Uganda’s military troops and North Sudanese rebels groups in parts of South Sudan are seen as examples where IGAD has allowed actors within its region to further polarise the situation and complicate the mediation process. The mediation process has also raised questions about IGAD’s viability in promoting lasting peace in South Sudan. It is one of the few regional bodies to have set up a mediation support unit since 2012, and has done well in shouldering the responsibility of promoting a peace framework for South Sudan. This article was originally published by ISS on 15 September 2014. Yet some think that IGAD is simply looking for a quick fix aimed at containing the violence, rather than establishing a workable framework that could truly promote lasting peace. IGAD is seen to have focused the peace talks largely on the interests of the two major political actors, rather than reflecting on a framework that could address the country’s structural problems. (It must be noted, however, that there were efforts in June to create a multi-stakeholders’ negotiation, which failed to take off.) 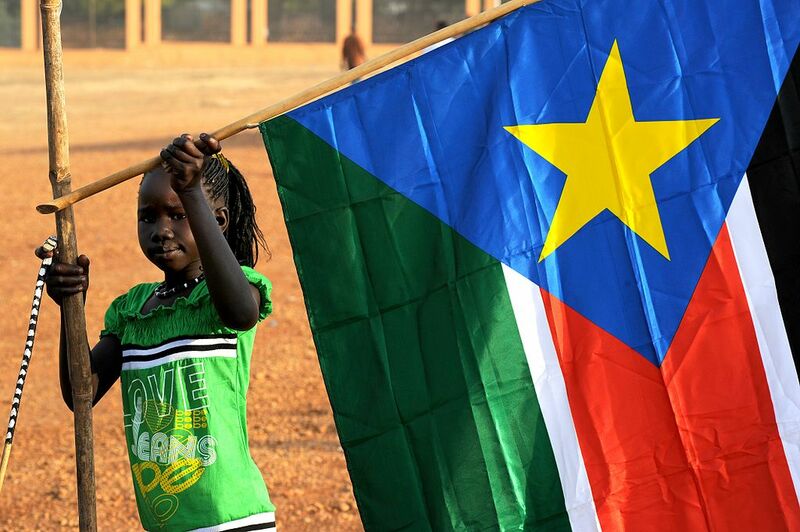 By focusing mainly on the two major players, the mediation process may, at best, succeed in reaching a bilateral agreement that is acceptable to the two parties, but over which most South Sudanese would feel no sense of ownership. While some argue that including many other stakeholders in the peace process would prolong and possibly derail the mediation course, the same argument can be applied to the current bilateral arrangement, which remains slow. The litmus test for the IGAD-led mediation process lies in its possible contribution to transforming South Sudan’s governance architecture to promote fair and inclusive socio-economic and political processes. By issuing deadlines for the formation of a transitional unity government and not providing a clear reform roadmap – with exact timelines and mechanisms for implementation – the peace process reflects a narrow focus. Indeed it seems to be aimed at reaching an agreement instead of laying the basis for structural transformation and sustainable peace. Among the key proposals in IGAD’s mediation has been a transitional unity government. This may appear to be a win-win situation and a good way of ending the violence, but the approach, however, is fraught with challenges. A unity government bringing together President Salva Kiir and Riek Machar would probably not create an environment favourable to bringing about the necessary reforms. It is difficult to envisage concessions and reforms under these two leaders, given their history in government and the stakes inherent in the elections after the transitional period. A transitional unity government is more likely to see the country return to the same climate of mistrust and political power games that pervaded before the 2013 violence broke out. This will probably lead to further dysfunction in government and, ultimately, prepare the two parties for another war. There is a strong conviction in South Sudan that in the current polarised environment, a better option is to promote political dialogue. This would lead to an interim government headed by a neutral person, who should be from outside the two leading ethnic communities (the Dinka and Nuer) and with no ambitions for political office in the next elections. While this solution faces the challenge of being accepted by a government that maintains it has to serve its full term, IGAD needs to seriously consider such an option. It would provide the best chance for creating a framework that will help to cultivate the compromises needed to positively transform the South Sudan state. Emmanuel Kisiangani is a Senior Researcher in Conflict Prevention and Risk Analysis Division at ISS Nairobi.